The World's Best Water Detector! BBS 17 frequency technology (1.5kHz - 25.5kHz). Slimline coil for reduced weight and improved balance. Coil (standard) - Choice of 8" or 10" round Double-D hardwired coil. Audio Output - Headphones (hardwired). Headphones Supplied - Koss 8 ohm headphones (hardwired). Detect Modes - Discriminate or All-Metal (Pinpoint). Discrimination - Variable Discrimination (adjustable turn control) & All Metal (Pinpoint). Ground Balance - Automatic ground rejection. Sensitivity Adjust - Auto & manual (adjustable turn control). Target Volume Adjust - Adjustable turn control. Battery - NiMH battery pack 13V 1000 mAh (14-19 hours). 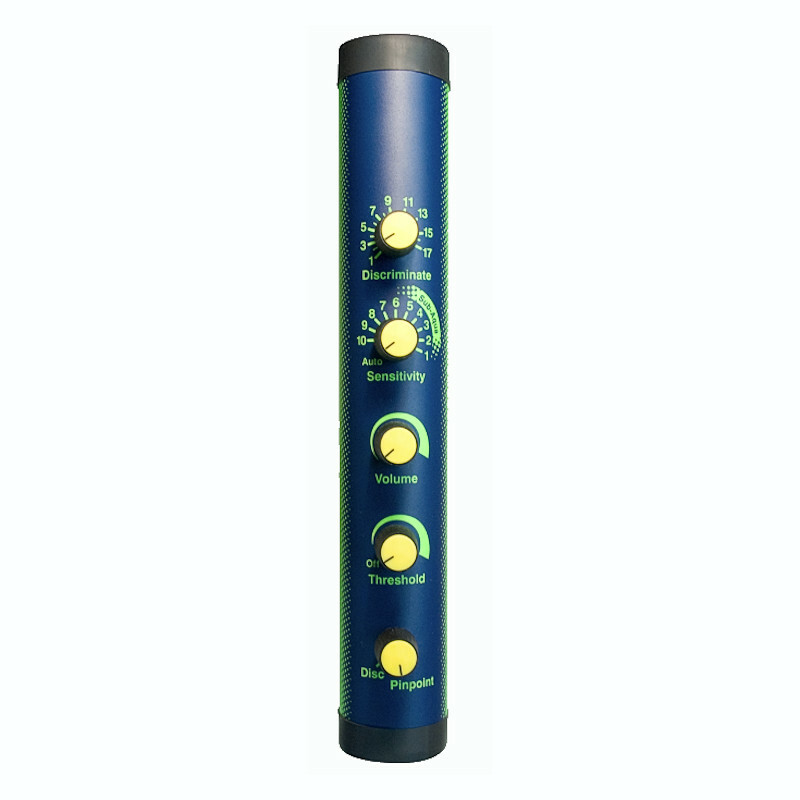 Supplied with mains charger, alkaline battery optional accessory. Length - Standard shaft 1140mm - 1220mm (45" - 48"); Dive shaft 820mm - 910mm (32" - 36"). Weight - 8" Coil 2.1kg (4.6lbs) or 10" coil 2.3kg (5.1lbs) (inc NiMH battery). Warranty - 1 year control box & coil. To receive your Military Discount just add this Promo Code: mh4672a to the Coupon Box on the Shopping Cart or Checkout page. NOTE: Your order will not be shipped until the required document is received. The easiest way to send your document is by replying to the emailed purchase invoice, which you will receive shortly after your purchase, with the document attached. Or you can email the document to ColonialMD@Atlanticbb.net. Call 860-317-1284 with any questions. Please read the info below. 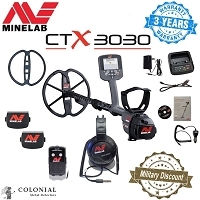 Minelab and Colonial Metal Detectors, together, offer a 15% military discount to Military Veterans and Active Duty soldiers. 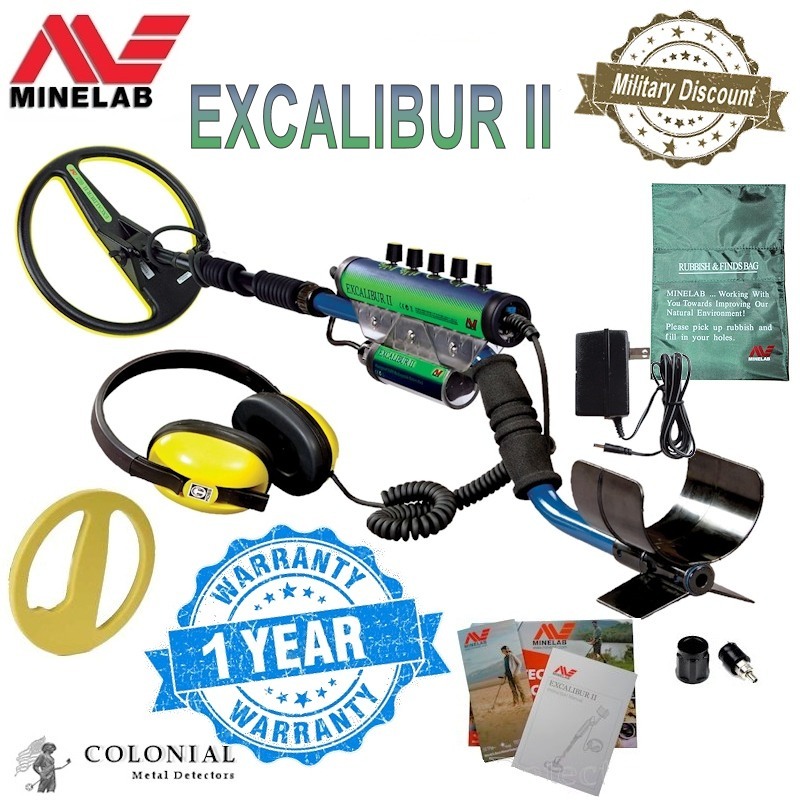 This discount applies to most Minelab Metal Detectors and does apply to Minelab Accessories. 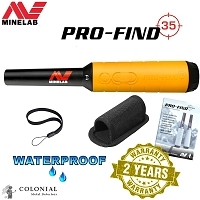 - Any other form of ID must be approved by Minelab first. 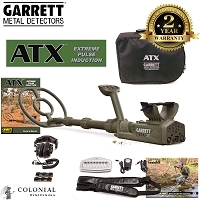 ** Bonus/Free items offered by Colonial Metal Detectors are not included when receiving a Military discount. Factory added bonus items are included with a military discount. Free T-Shirts, if offered, are always included with or without a military discount. 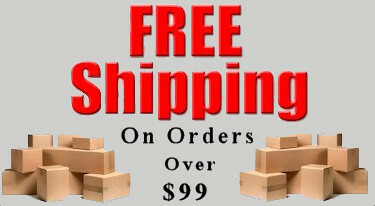 This item normally ships UPS Ground Direct Delivery and will require a signature.